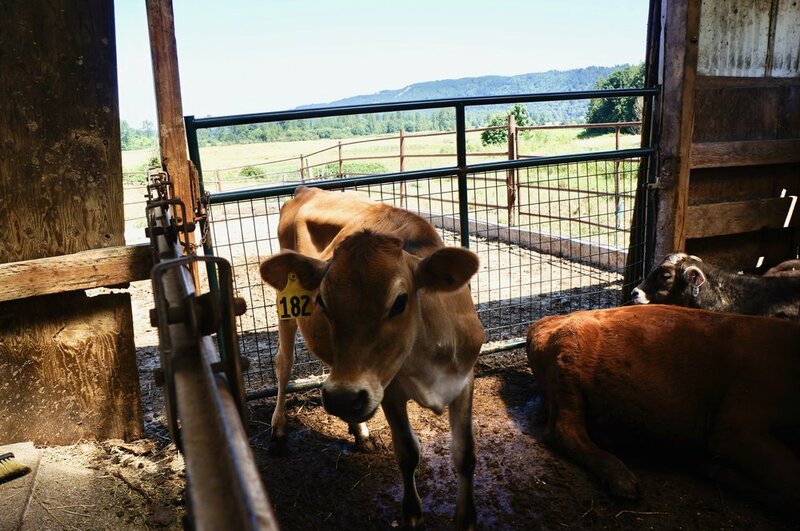 Beyond the barns and machinery are the front line of our dairy operation– a herd of grass-fed Jersey cows. In the dairy's past life, it housed hundreds of mixed breed cows, who's milk was sold in bulk fluid milk by the owner. As part of our organization’s sustainability efforts over the past decade, we have reduced the herd to fewer than 50 Jersey cows. This allows us to produce all of the cheese and dairy products we make in-house -- all while leaving a smaller carbon footprint. Cherry Valley Dairy will never use bovine growth hormones on our herd. We strive to keep the cows' diets natural and free of unnecessary antibiotics, artificial additives and harmful chemicals. Our Jersey herd spends the better part of the year grazing in our expansive, lush, and gorgeous meadow in the heart of the Snoqualmie Valley.